A Diamond Select Toys release! 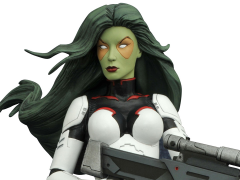 Where's Gamora? She's the newest statue in the Marvel Premier Collection! 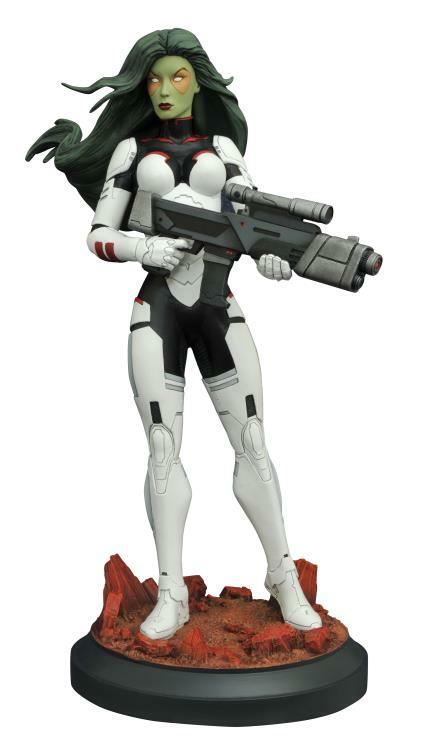 This approximately 12" resin statue depicts the deadly warrior, former agent of Thanos, and current Guardian of the Galaxy Gamora wearing her distinctive white space armor, armed with an dangerous-looking energy weapon. This high-quality sculpture is limited to only 3,000 pieces, and comes packaged with a certificate of authenticity in a full-color box. Sculpted by Jean St. Jean!